Please contact the team member in your area of interest. Jenerius Aminawung, MD, MPH is a Research Associate and the Evaluation Analyst for the Transitions Clinic Network working alongside the Evaluation Team located at Yale University. Dr. Aminawung’s work includes projects at Yale University studying outcomes in disadvantaged populations. Read his research publications here. Latoya Benton is a Community Health Worker at Transitions Clinic-Bridgeport where she provides health and social service navigation support to patients. She has experience conducting chronic disease-self management trainings with patients, as well as carrying out patient support sessions. Recently returned from prison to Bridgeport and need a doctor? Please contact Latoya. Phil Costello, APRN, is the lead provider of primary care services to Transitions Clinic patients at Cornell Scott Hill Health Center in New Haven. He works closely with New Haven's homeless community. Learn more about Mr. Costello in the New Haven Register and WTNH. 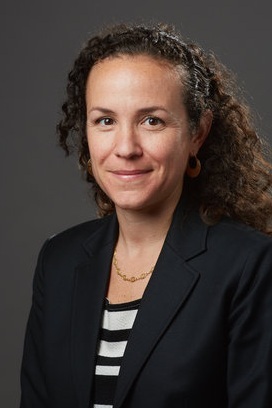 Johanna Elumn Madera, MSW, PhD is the Director of The Share Project (TSP) at Yale University. The purpose of the project is to design an interactive web-based platform to navigate criminal justice and health data from the Transitions Clinic Network (TCN), and train formerly incarcerated people, researchers, and policymakers to use data to improve health. Dr. Elumn Madera’s research interests focus on community violence, trauma exposure, community-based participatory research, and the criminal justice system’s impact on health. Recently returned from prison to New Haven and need healthcare? Please contact Monya. 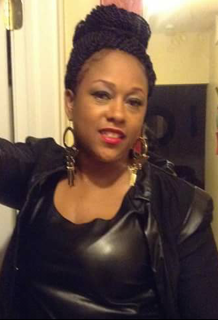 Monya Harper-Harris uses her community health worker training to deliver the WORTH intervention and provide healthcare and social service navigation for women leaving jail. 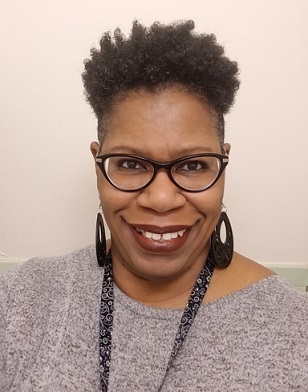 She supports clients in connecting with both primary and specialty care appointments (including substance use treatment and HIV treatment); providing health education specific to re-entering the community; and navigating the complex health and social services system in New Haven. Nadine Horton is a research assistant at the Yale School of Medicine in the general internal medicine section. Nadine is the team lead on an R01 grant led by Dr. Emily Wang, MD, MAS on building resilient neighborhoods to prevent gun violence. Nadine has over 10 years of experience as a community organizer in the city of New Haven and has worked with various neighborhoods, organizations, city officials, police, community leaders and residents. Jose Latorre, BSN, RN, MSN, FNP is the lead clinician at Transitions Clinic-Bridgeport. He served as the Director of Ryan White program in Waterbury Hospitals Infectious Disease department and completed his Doctoral degree in Nursing. Lisa Puglisi, MD, is Director of Transitions-Clinic New Haven an Assistant Professor at the Yale School of Medicine and director of Transitions Clinic-New Haven. Dr. Puglisi, also the lead physician at the Transitions Clinic-New Haven Yale Primary Care Center site, has expertise in the care of individuals with a history of incarceration and managing an interdisciplinary team to provide this care. Read her journal article "What Does Health Justice Look Like for People Returning from Incarceration?" Jerry Smart is the senior community health worker (CHW) at the Transitions Clinic program in New Haven, CT. Jerry coordinates medical care and social service support for chronically ill patients recently released from prison. Since 2012, Jerry has been a Steering Committee member for the Robert Wood Johnson Foundation Clinic Scholars Program and is also a Community Advocate at the ForDD clinic at Yale. To learn more about Jerry, read these stories on his work in NPR, the CT Post, and the YaleNews. Emily Wang, MD, MAS is the head of the Health Justice Lab and an Associate Professor of Medicine and co-founder of the Transitions Clinic Network. She has a longstanding clinical and research interest in patients with a history of incarceration. She has developed expertise in training former prisoners to become community health workers. Her research explores incarceration as a risk factor for cardiovascular disease and how correctional facilities can be a meaningful point of intervention to reduce the risk of disease in the community. Read her academic articles here and news stories about her work here.